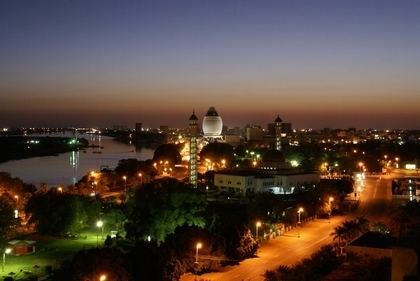 Khartoum ( ) is the capital and largest city of Sudan and the state of Khartoum. It is located at the confluence of the White Nile, flowing north from Lake Victoria, and the Blue Nile, flowing west from Ethiopia. The location where the two Niles meet is known as "al-Mogran" (المقرن the confluence). The main Nile continues to flow north towards Egypt and the Mediterranean Sea. The origin of the word, "Khartoum", is uncertain. One theory argues that khartoum is derived from Arabic khurṭūm (خرطوم trunk or hose), probably referring to the narrow strip of land extending between the Blue and White Niles. Captain J.A. Grant, who reached Khartoum in 1863 with Captain Speke's expedition, thought the name was most probably from the Arabic qurtum (قرطم safflower, i.e., Carthamus tinctorius), which was cultivated extensively in Egypt for its oil to be used as fuel. Some scholars speculate that the word derives from the Nubian word, Agartum ("the abode of Atum"), the Nubian and Egyptian god of creation. 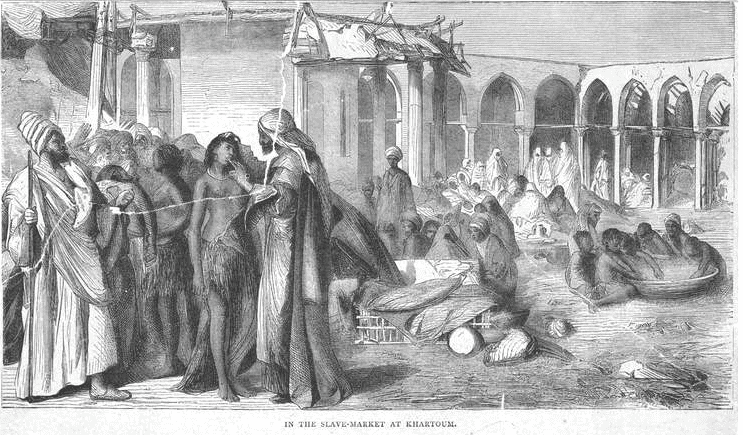 Other Beja scholars suggest "Khartoum" is derived from the Beja word, Hartoom ("meeting"). Additionally, the dream interpreting magicians in Genesis 41:8 are referred to as חַרְטֻמֵּ֥י (Khartoumei). On 13 March 1884, troops loyal to the Mahdi Muhammad Ahmad started a siege of Khartoum, against defenders led by British General Charles George Gordon. The siege ended in a massacre of the Anglo-Egyptian garrison. On 26 January 1885, the heavily damaged city fell to the Mahdists, and all its inhabitants were put to death. 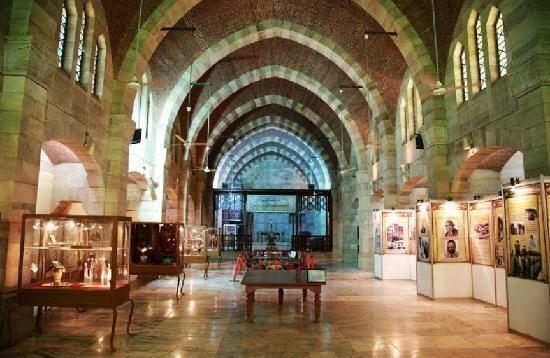 Throughout the 1970s and 1980s, Khartoum was the destination for hundreds of thousands of refugees fleeing conflicts in neighboring nations such as Chad, Eritrea, Ethiopia, and Uganda. Many Eritrean and Ethiopian refugees assimilated into society, while others settled in large slums at the outskirts of the city. Since the mid-1980s, large numbers of refugees from South Sudan and Darfur fleeing the violence of the Second Sudanese Civil War and Darfur conflict have settled around Khartoum. Sudan, in northeast Africa, measures about one quarter the size of the United States. Its neighbors are Chad and the Central African Republic to the west, Egypt and Libya to the north, Ethiopia and Eritrea to the east, and South Sudan, Kenya, Uganda, and Democratic Republic of the Congo to the south. The Red Sea washes about 500 mi of its eastern coast, and it is traversed from north to south by the Nile, all of whose great tributaries are partly or entirely within its borders. 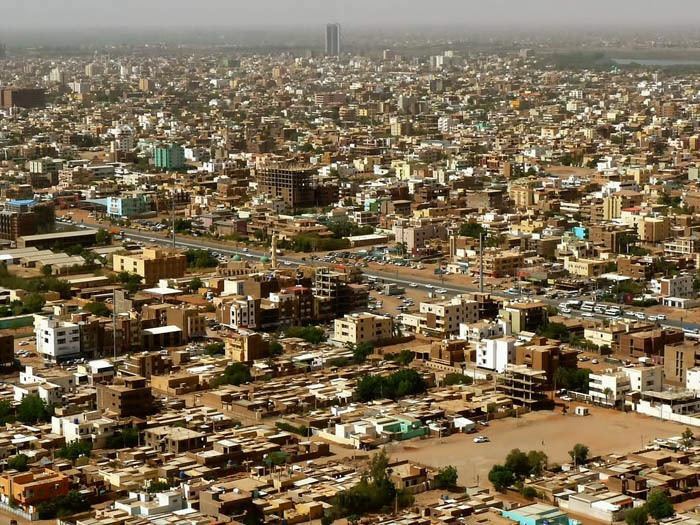 Khartoum is located in the middle of the populated areas in Sudan, at almost the northeast center of the country between 16 degrees latitude north, 15 degrees latitude south, longitude 21 degrees west, and 24 degrees longitude east. >It expands an area amounting to 20,736 km (12884 Mile) square between the West Bank of the River Nile, from North Khartoum Bahri, Shendi, River Nile State, from both the East Kassala, Kassala State, Port Sudan, Red Sea State and North East Blue Nile, from the West White Nile, Omdurman, North Kordofan and Northwest Omdurman, Northern State, from South Wad Madani, Al Jazirah (state) and Southwest Ed Dueim, White Nile State. Khartoum is the main location for most of Sudan's top educational bodies. In Khartoum, the capital of Sudan, there are four main levels of education. First: kindergarten and day-care. It begins in the age of 3-4, consists of 1-2 grades, (depending on the parents). Second: elementary school. the first grade pupils enter at the age of 6-7 .and It consists of 8 grades, each year there is more academic efforts and main subjects added plus more school methods improvements. By the 8th grade a student is 13–14 years old ready to take the certificate exams and entering high school. Third: upper second school and high school. At this level the school methods add some main academic subjects such as chemistry, biology, physics, geography, etc... there are three grades in this level. The students ages are about 14-15 to 17-18. Higher Education: there are many universities in Sudan such as the university of Khartoum, even foreigners attend universities here, because the reputation of the universities are very good and the living expenses are low compared to other countries. After all, the education system in Sudan went through many changes in the late 1980s and early 1990s. Khartoum is home to the largest airport in Sudan, Khartoum International Airport. It is the main hub for Sudan Airways, Sudan's main carrier. The airport was built at the southern edge of the city; but with Khartoum's rapid growth and consequent urban sprawl, the airport is now located in the heart of the city. A new international airport is currently being built about 40 km (25 mi) south of the city center. There have been delays to start construction because lack of funding of the project but it is expected that the airport will be completed sometime in 2017. It will replace the current airport in Khartoum as Sudan's main airport. In response to the worldwide deterioration of the environment and the increase in pollution levels, there has been a strong movement towards sustainable architecture across the globe. This movement has received attention and concern from governments as well as private sectors. In the past decades, Sudan has seen a huge surge in infrastructure and technology, which has led to many new and innovative building concepts, ideas and construction techniques. There is now a constant flow of new projects arising, thus leading to a new, transformed, modernised form of architecture.